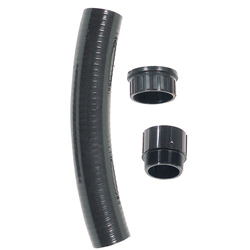 Aquascape Tsurumi Check Valve Adapter Kit Package Includes: 1 piece 2" flexible pvc pipe (13" long). 1 - 2" mpt x slip fitting. End Cap/Slip Fitting.